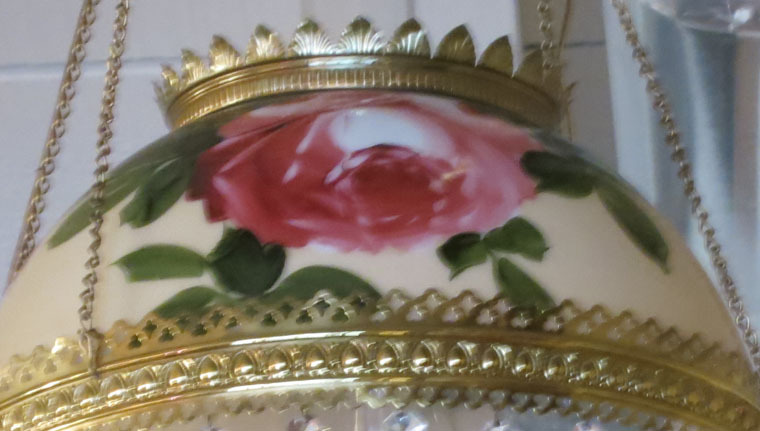 Hanging Gone with the Wind Hand Painted Light Fixture -- Exquisitely hand painted with beautiful roses, this hanging Victorian light fixture is in perfect original condition. It even has the original pulley system. The shade measures 13 1/2" in diameter x 7 1/2" tall, and the fixture as a whole measures 38" long x 18" wide. 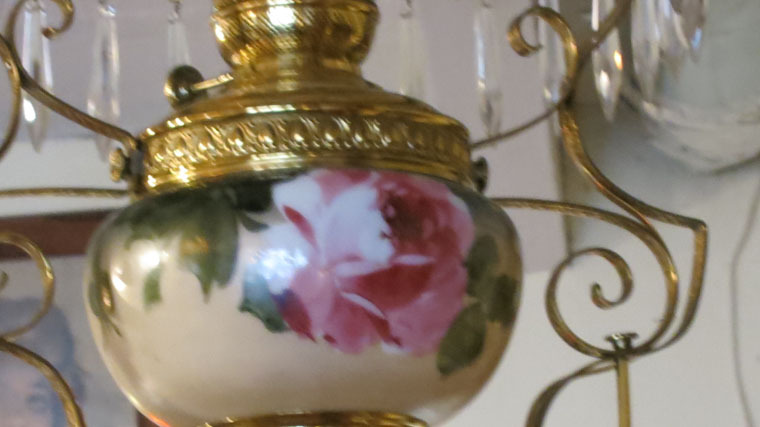 It is one of the nicest hanging lamps of this period that we've ever had. 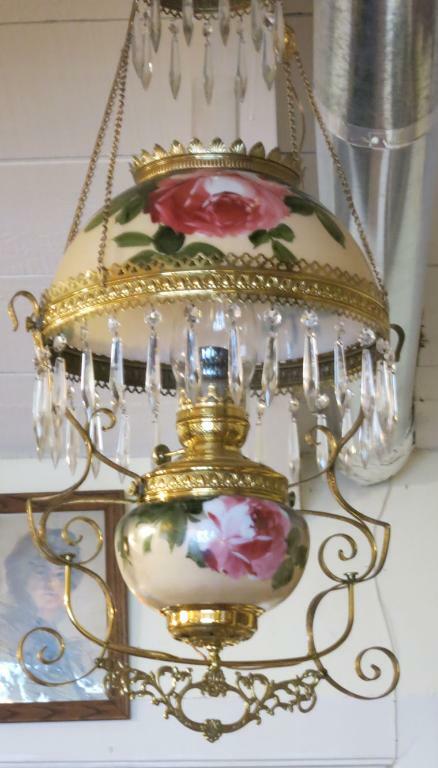 Exquisitely hand painted with beautiful roses, this hanging Victorian light fixture is in perfect original condition. It even has the original pulley system. The shade measures 13 1/2" in diameter x 7 1/2" tall, and the fixture as a whole measures 38" long x 18" wide. It is one of the nicest hanging lamps of this period that we've ever had.